I so wish I had thought of this when I was in the classroom. I think it would have made teaching alphabetical order so much easier. I would also hope that it would help make it a fun skill to learn instead of a worksheet. 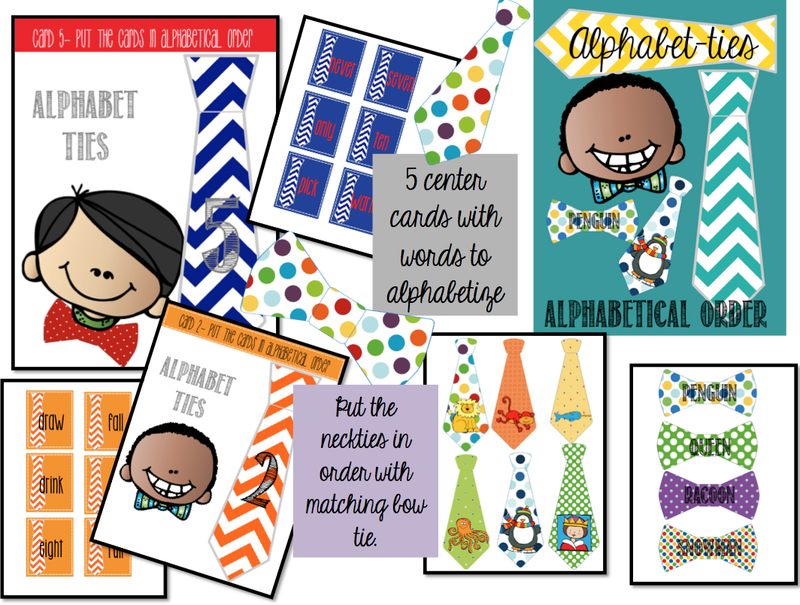 With all of that in mind, I created Alphabet-Ties (alphabetize) centers. Includes: 5 center cards with matching cards to alphabetize. 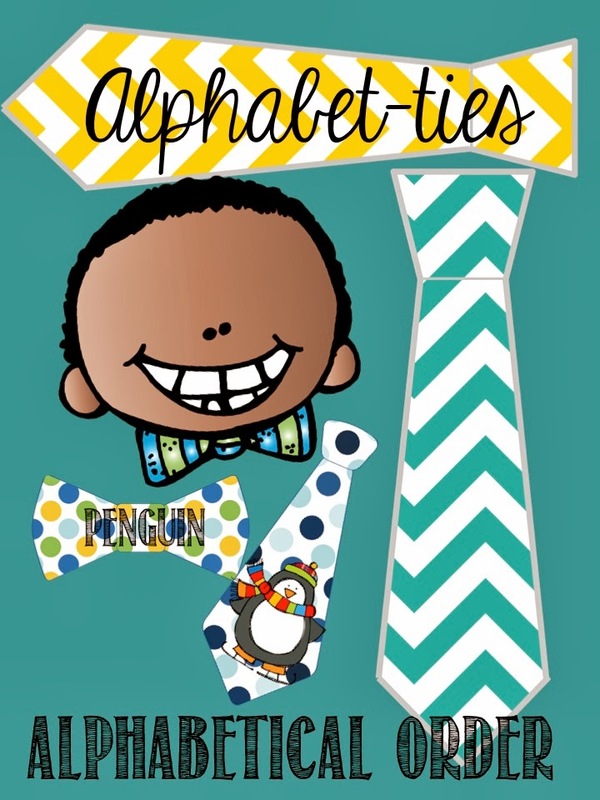 This is great to use when introducing alphabetical order to your Kindergarten and First Grade students. If you like this, let me hear from you.